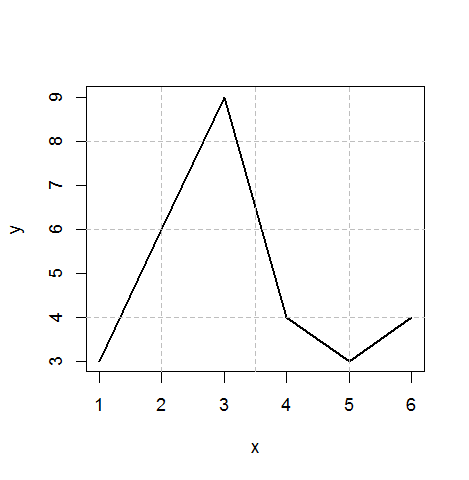 You may add additional horizontal and vertical lines to a plot by using the abline function. This will allow you to create a customized grid or to show one or several important points or limits within you plot. The following example creates a plot and adds some horizontal and vertical lines by using the abline function with the h or v argument.